The BBC reported today that a new price comparison website is being built to help the NHS in England save money when it purchases goods and services. It is said to include details of what NHS trusts are paying for everything from rubber gloves and stitches to new hips and building work. This comes in light of the NHS being criticised for the way it buys supplies. Some times ago, the National Audit Office worked out that more than 10% could be saved through better procurement. The watchdog looked at the way the NHS purchased supplies and found for 5,000 items the difference in the amount paid was more than 50%. 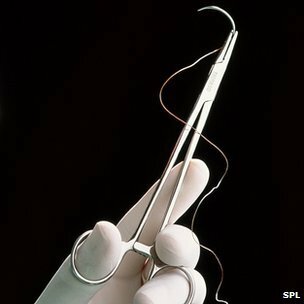 The price paid for the same box of medical forceps ranged from £13 to £23, while for blankets the costs differed from £47 to £120. Health minister Dr Dan Poulter said the “scandalous situation” must end. The Department of Health believes savings of £1.5bn could be made out of a total spend of just over £20bn. One of the key factors in the poor practices highlighted has been the lack of information sharing between trusts about what each pays for identical goods and services. Hence the creation of the price index, designed on the price comparison websites that the public use for things such as energy and insurance quotes. Once appointed they will work with a team of advisers drawn from the NHS and private business who will help scrutinise and spread best practice. One of the areas where it is felt savings could also be made is through bulk buying, which is done by the NHS Supply Chain on behalf of the health service.